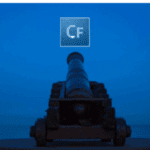 I will present a preview of my day-long class “Multi Language Applications in CF in Theory and Practice” at the Thursday 31 May 2007 of the “The Online ColdFusion Meetup Group”. It will be based on Adobe Connect and will takes around 20-30 min as base session and then questions and answers. You can reach detailed information at “http://coldfusion.meetup.com/17/calendar/5827901/”. If you plan to check this out, please do not forget to RSVP. You can find detailed information about my class at the CFUnited site and register for the class on page “http://cfunited.com/go/classes”. ← Previous Post Do you use your Whole Brain while developing?